As the cool winter approaches in Japan, the cold Siberian winds start to blow. These winds pick up moisture over the Sea of Japan and then collide with the mountains of Japan, creating the type of snow that Japan is famous for – deep, light, fluffy powder….some say it’s the world’s best. It’s time to think about your Japan snow holidays! Many snow resorts will open in early December and can have good powder well into March. With a mix of large ski villages offering plenty of excitement and entertainment to the smaller traditional onsen resorts, Japan has the right mix for any skier or snowboarder. Japan Explorer has access to all the best snow resorts in Japan and provide ski and snowboard holiday packages from Nagano to Niigata, Tohoku to Hokkaido. We’ve listed a small selection below, but if you’ve got somewhere specific you want to go, we can help organise your tour so it’s smooth and worry-free. We specialise in family snow packages and cater to all budgets. We can access those small, family run ryokans that are difficult to communicate with (but are often some of the best places to stay), as well as getting the best prices from the bigger resort style accommodations. As a Japan expert, we can help you create your dream snow package, taking in all the best local sights, cuisine and culture. Why not see a bit of Japan before you go to the snow? 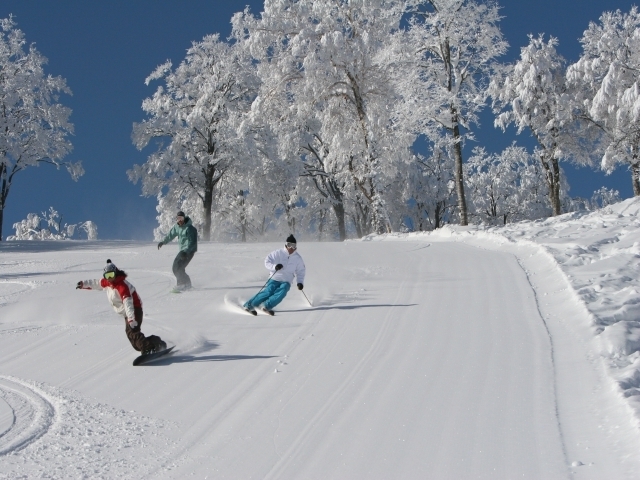 Shizukuishi is an undiscovered resort with plenty of the ‘aspirin powder’ snow famous in Iwate. This resort held the FIS Alpine World Ski Championships in 1993. The resort is conveniently located to the north of central Shizukushi town, with a free shuttle bus available from Shizukuishi Station or a free weekday-only bus service from Morioka Station. There are nice tree runs at the top, long open runs, plus old courses above and to the side of the resort that provide plenty of powder turns. The long, groomed courses suit all standards of skier/snowboarder and an easy course is located at the front of the hotel. ‘Snow Land’ is a large area for children and includes snow tubing, sledging, sliders, snow striders, a practice area and more. Shizukuishi offers a Sunrise Cat Tour on the otherwise-closed World Championship Downhill course. Ski and snowboard lessons are available as well as equipment and snow wear rental. There are two park areas – the ‘Easy Park’ and the ‘Okochama Ski & Snobo Park’. Shizukuishi is perfect for families who can enjoy the quiet atmosphere and comfort of the Prince Hotel resort after a full day of carving up the fresh powder snow. Appi is an uncrowded, all-round resort that delivers on many fronts. Start with plenty of famous Iwate Prefecture ‘Aspirin Powder’ snow. Being a bit further from the west coast the snow gets even drier. Their pro-powder policy, with several tree zones, helps you make the most of it, both within the resort and beyond thanks to backcountry and cat-skiing options. The main mountain is steeper on the top half and mellow lower down, neatly dividing the terrain. 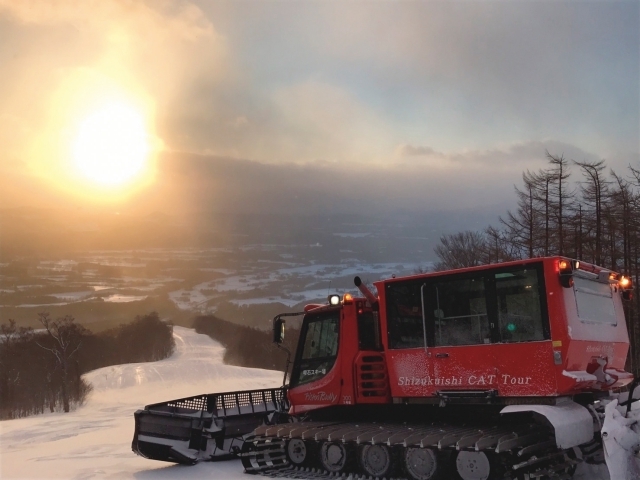 Japan’s best grooming keeps the main courses in prime condition. The ‘APPI Happy Snowpark’ for kids and the beginners facilities are right out front of the resort, making it ideal for families. There’s also the ‘Kids Room’ child-care service available (reservations required). The Salomon Snowpark is one of the best in Japan while snow park beginners and kids can feel safe and secure in the separate “Beginner Terrain”. Ski and snowboard equipment and wear rental is available as well as private or group ski/snowboard schools (and a kids school). The ski-in/ski-out self-contained resort/hotel complex at the base features restaurants, bars, an izakaya steak house, onsen, and an indoor pool and sports complex. Accommodation ranges from standard rooms to deluxe suites, and new apartment options with kitchenettes and outside onsen baths. Even if you don’t ski, you will love checking out Zao’s famous snow monsters – the snow covered pines that cover the upper slopes. View them floodlit at night and ski past them by day. 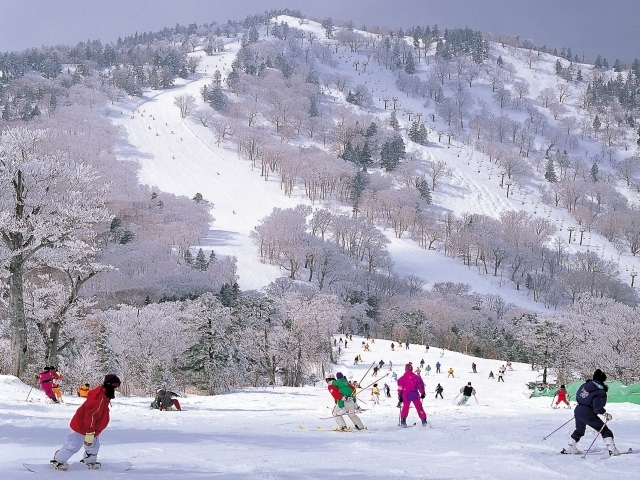 The ski area is one of Japan’s oldest and largest, sprawling over several distinct zones. 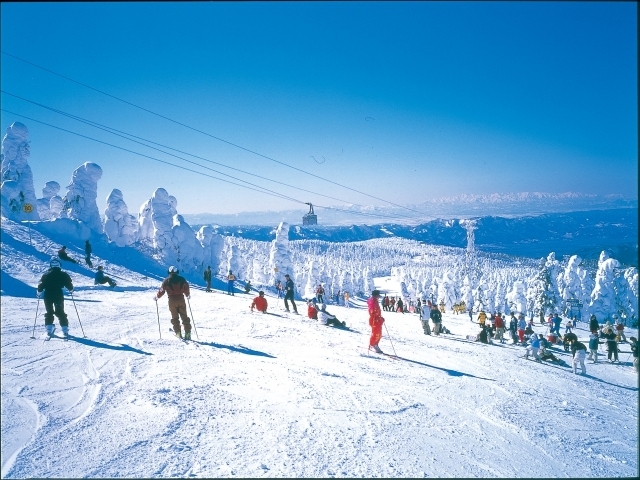 The ski area covers 305ha and has the longest ski run in Japan – 9 km. There are 14 slopes and 12 runs. Having snow monsters is a sign they get lots of snow, and there is good powder, plus great beginner and intermediate runs with lots of variety discovering the different areas. The season is also a long one, running from the beginning of December to the first week of May. Schools and equipment/wear rental are available and the resort offers a fun Family Snow Park and snowboard park. Zao Onsen Village is an historic onsen town. whose therapeutic hot springs have been known since 110AD. Three public baths are available, as well as many in the big selection of hotels and ryokans. Many of the base ski lifts and courses are within walking distance from the main village with a lot of ski-in ski-out accommodation available. The mountains in and around Myoko receive some amazing snowfalls in winter and are renowned for some of the best vertical and longest runs Japan has to offer. Mt Myoko is the home to four major ski areas and Myoko Suginohara has runs over 8km long – and the most snow. 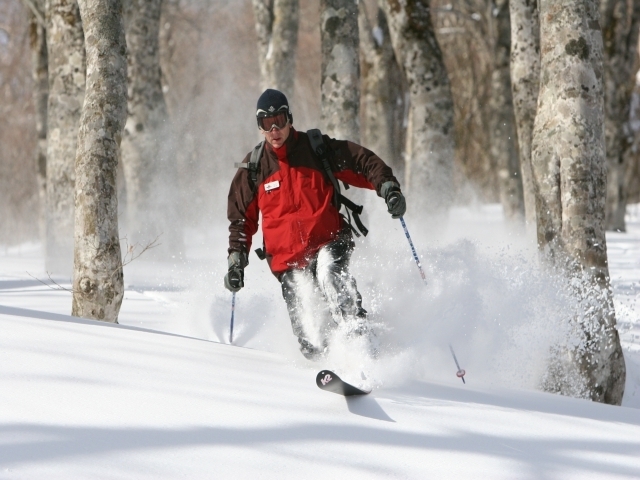 It, along with Ikenotaira Onsen, has opened great tree ski zones in recent years. Akakura Kanko and Onsen are separately owned, but flow together above the main base village at Akakura to make one large single area. They all get lots of snow. The snowsports school caters to all levels and includes photography tours, guiding and multi-resort programs. There are good options for rental with modern, quality ski and snowboard equipment for all levels and styles. Also available is the Myoko kids ski school along with childcare options. The resorts are centred around Akakura village, where most of the accommodation is situated. The Japanese royal family ski from the 5-star Akakura Kanko Resort & Spa, but Akakura Village has plenty of hotels, pensions and western-owned lodges that cater to all budgets. A thriving restaurant scene has sprung up over the past few years, without losing the town’s rich history, culture and traditional Japanese onsens. Nozawa, an onsen town since the 8th century, is one of the most famous snow resorts in Japan. It gets regular dumps of powder snow due to its proximity to the Sea of Japan. The skiing stacks up with Japan’s best, with one of the longest vertical drops at 1,085m. There are beginner runs higher up the mountain too, so all levels can enjoy the views and can catch up at the mid-mountain restaurant area. Nozawa Onsen is a classic blend of tradition and great skiing with a Snow Park and halfpipe in the Uenotaira area on the upper-half of the mountain. Kids are well catered for with the main Kids Park area located in the Hikage area and the Yumin day care service available in the Hikage Information Centre building. Ski and snowboard lessons in English are available along with equipment and wear rental. Hotels and apartments do fill up, so book early for the main season…….or go in March for lots of snow and less people. While in recent years Nozawa Onsen has become increasingly popular with visitors from overseas, the village still retains a traditional and quaint Japanese feel with great restaurants, many shops, and lively bars. A magnificent alpine vista fills Hakuba Valley’s horizon from east to west. The stunning view sweeps past 9 fantastic ski resorts, all available on the one Hakuba Valley lift pass. Hakuba has it all: long groomers at Happo, sensational steep trees at Cortina, endless cruising at Tsugaike, unlimited back-country with excellent local guides, and even heli-skiing in spring too. 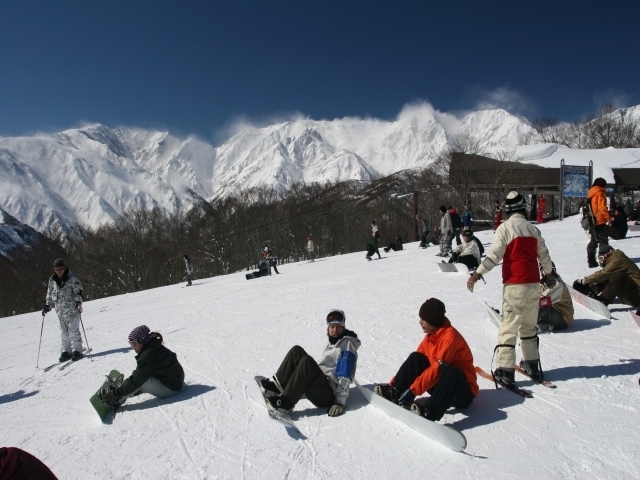 There’s a number of Snow Parks including those at Hakuba 47 and Happo-one and Goryu. There’s plenty to do for youngsters too, with a Kids Play Park and a kids snowmobile area at Cortina, and Kids Parks at Hakuba 47, Happo-one and Hakuba Goryu, among others. Hakuba Valley boasts Japan’s most complete and varied ski resort accommodation, restaurant and shopping scene. Stay in your choice of ski-in/ski-out hotels, modern apartments, traditional ryokan or western run lodges. Popular areas include Wadano, next to Happo, Echoland a bit further away, slope-side at Goryu 47, or Cortina’s iconic Hotel Green Plaza. There’s a host of character-filled bars and nightclubs with many offering free hotel pick up/return.